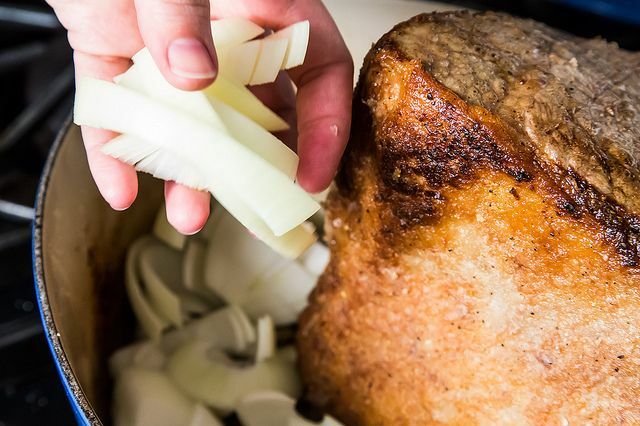 Today: A feel-good pot roast from two genius women. Last month, I got an email from my mom titled "Thinking of you" -- it was a picture of the inside of her slow-cooker. "There's a lovely pot roast under there perfectly seared like a giant chicken fried steak," she wrote. She must have been remembering my pot roast phase, or protracted slump, after I graduated from college. I'd just started a job I hated (analyzing car lease portfolios, if you must know) and I was weathering a breakup badly. The only thing I liked doing was planning what I would cook for dinner. But I wasn't in possession of anything as nice as a Crock-Pot, and certainly there was no Le Creuset braiser on the shelf next to my roommate's George Foreman Grill. My specialty was zucchini tacos with blue cheese. So what I longed for was pot roast -- in a loud, primal aching for comfort food -- and it's what I asked for when I went home to the people who could feed me better. I suspect that my mom turns to pot roast for the same reasons, and maybe we all do. When life isn't great, pot roast is there, and it doesn't ask for much. 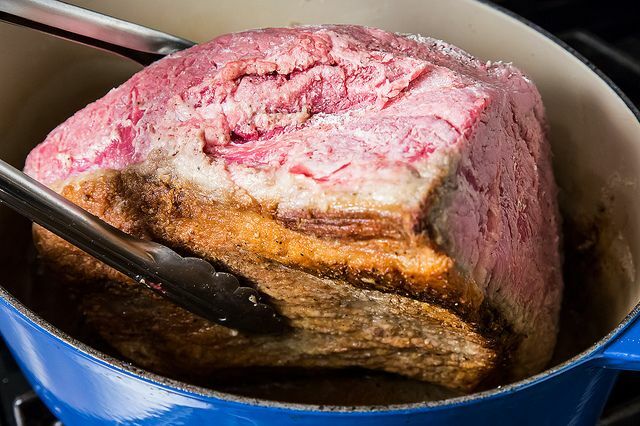 All you need is an unruly hunk of beef, stacked in a pot with vegetables (pot roast begs you not to chop them evenly, or at all), and some liquid -- water, wine, stock, whatever. It bubbles along for a few hours, fills the house with happy smells, and at the end you get a pot full of meat that melts and falls to pieces, vegetables that have replaced their water content with meat content, and gravy. It makes its own gravy! The only thing it doesn't do is rub your back. 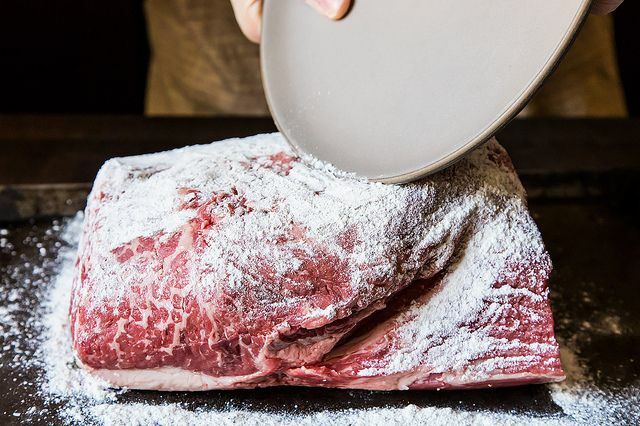 The recipe my mom uses follows this pared-down formula (plus four variations -- I have not included the one that calls for canned fruit syrup), but adds one more cathartic step: you beat flour, salt, and pepper into the meat with the side of a plate. I'm not sure why. It seems to create a thicker crust (adding to that crisp chicken fried steak factor), and a more lustrous gravy in the end. 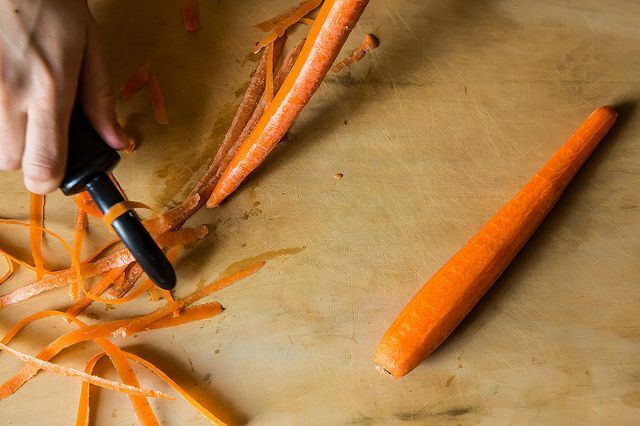 The recipe comes from an extraordinary woman named Betty Wason, a wartime journalist for CBS who found herself jobless after the war and had to turn to writing cookbooks. My mom has adapted Wason's recipe for the slow-cooker -- something that Betty Wason didn't have in 1963 when her recipe was published in House & Garden magazine, but surely would have approved. By removing it from the realm of the stove and oven, you're that much freer to have pot roast at any time of year, whenever you need it. At the end of my mom's email, she asked, "Is there a Genius Pot Roast for Mother's Day?" I think she was just making conversation. But, because she's my mother and I'm all grown up, I listened. Ok, I'll ask so just how much did this lovely piece of meat cost? Wondering really since in North West New Jersey this would probably be more than a weeks worth of food, not that I wouldn't have bought it. 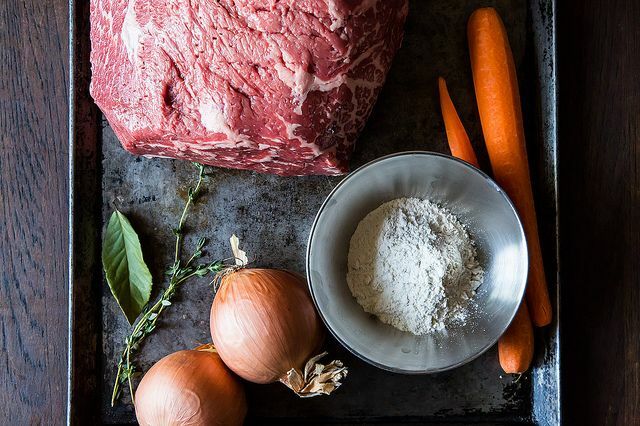 I forget how much I adore pot roast until I read an article like this and can practically smell it cooking. 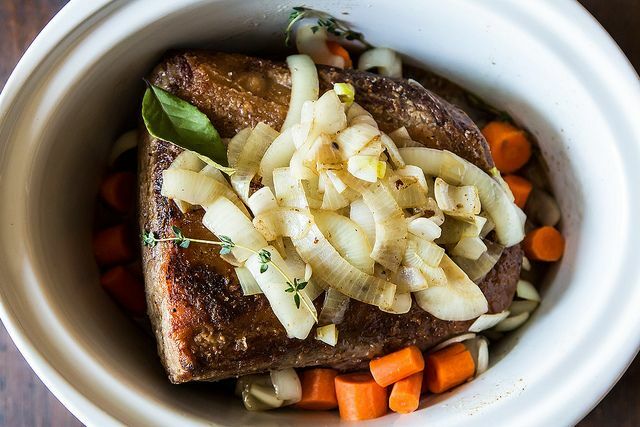 My heart aches for my mother and grandmother every time I read a pot roast recipe and I still cannot choose a piece of meat as well as my mother could. I better start preparing a lot more Sunday roasts if I want my daughter to think of me and continue the pot roast connection! I made this yesterday, using a bit more liquid (some leftover vegetable stock plus some red wine - nice excuse to open a bottle! ), ended up sticking it in the oven for many hours until the meat was glossy and falling apart, and BOY WAS IT FABULOUS. Thanks! I cooked this yesterday and it turned out perfect. Genius! I didn't use the slow cooker version as I didn't have enough time but the stove top version was perfect. I used a grass-fed chuck roast about 2-1/2 lbs and cooked it for about 2-1/2 hours. So delicious! Thank you. Speaking of "swiss steak", my mother had the best recipe! She cut the steak in a few pieces, dipped it flour, and browned it briefly. Then put it in a large skillet with those yummy small cocktail olives, juice and all, and cooked it on low heat for appx. an hour until meat was tender. Browning the meat first sears in the juices and makes for better flavor. 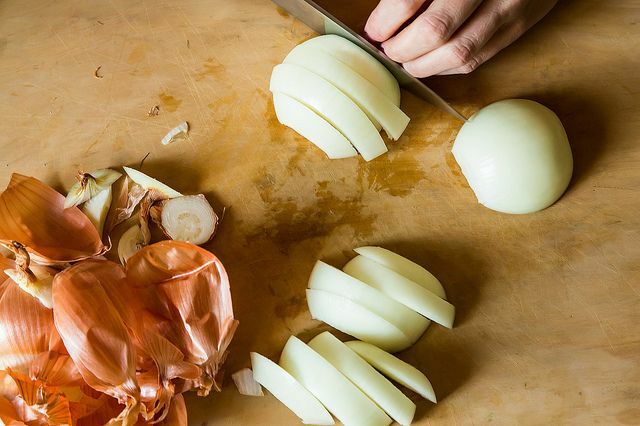 The juice from the onions tenderizes the meat, and makes the best gravy you have ever tasted! I find it funny that everyone always chooses pot roast or beef stew as a comfort food...for me, they are the worst possible choices...most likely due to the fact that neither my mom or Nana could cook them well. We dreaded these meals, and to this day, the mere thought makes me cringe. Comfort food for me was chicken pot pie, spaghetti or chicken soup. Beautiful, Kristen. Thank you so much for sharing! Amyelk - The term "Swiss steak" probably refers to a tenderizing process whereby meat is run through rollers that leave it pinpricked all over. "Cube steak" (which we also a lot of in our impoverished student days) was a tough cut of meat that had been "swissed." 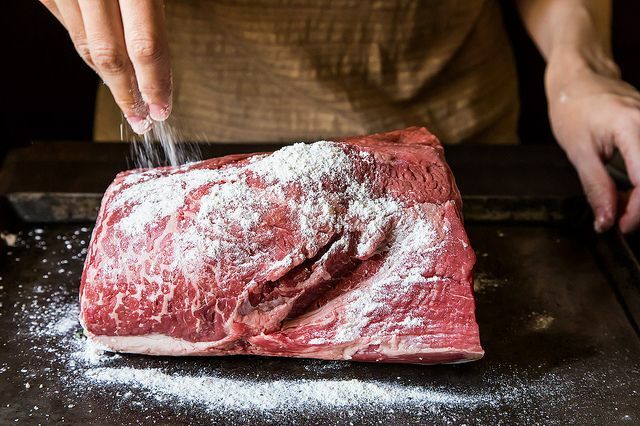 Pounding floured meat with the edge of a plate was a home cook's approximation of the "swissing" done by a butcher. my best pot roast involves browning the roast really well, remove from pan then adding the "Holy Trinity" a cup each of chopped celery, onion and carrots, to the pan, frying well, then add a cup of ruby red port to deglaze the pan and a cup of beef broth, and braising (covered) for 3 to 4 hrs at 300 degrees, really comfort food, and wonderful flavours. Suitable for a dinner party. Use this recipe with beef short ribs as well... delish!! 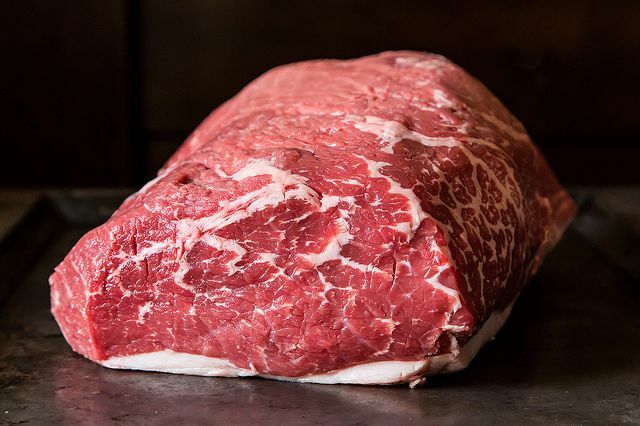 Just wondering where you find a piece of meat marbled liked the picture??? Prime Beef? Mario, see my answer to ATG117 above! Pot roast - comfort and yumminess! 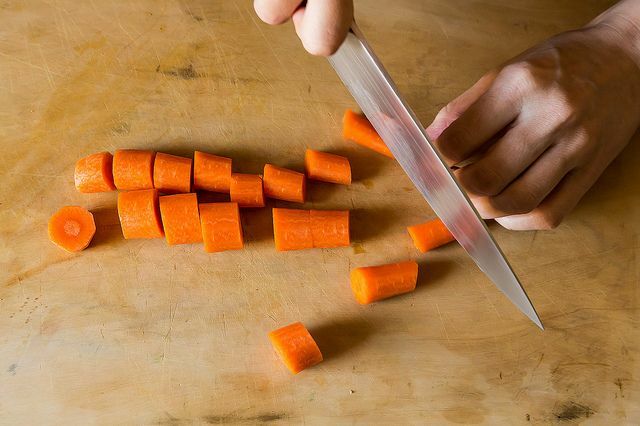 I chop carrots in both smaller and larger pieces. The smaller pieces mush into the gravy, then the large pieces can be served with the meat. I also add chopped celery and Worcestershire sauce. And chopped/diced tomatoes or tomato paste - or even a wee bit of BBQ sauce (not so much that you actually taste it, just enough to give more depth of flavor). Add small potatoes near the end, then serve with a salad/green veggie, bread/rolls, and a nice bottle of red wine. Thank you Mom - I miss you! I am always hungry for pot roast. Our family celebrated any and everything with it... Thanks, Kristen, for a lovely story to go with that lovely dish. that brings back memories of my childhood in germany. every sunday the air was perfumed with the smell of potroast when you walked down any given street in frankfurt. i make mine similar to this one, the only major difference is that we always brown our meat in bacon drippings which adds great depth of flavor. I've found my Mother's Day meal! Thank you, Kristin and Susan. What an interesting person, that Betty Wason! I've just requested some of her books from the library. Thanks for the great tip! P.S. 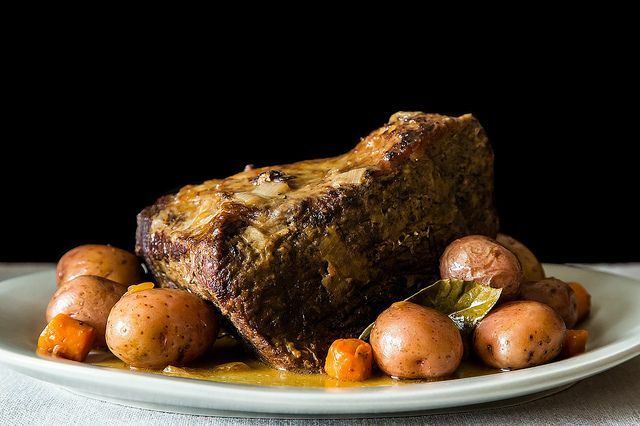 it would be GREAT if we could get a "dinner tonight" feature, with specific menu/instructions/shopping list/game plan that I can hand directly to my husband and say "go forth and make pot roast" while I'm at work on Sunday. This makes me want to go hug my mom. Angela, at our house, we tear off chunks of crusty bread to dip in the gravy-- and share a bottle of red wine. Salad optional!